Invesco PowerShares will launch a new multistrategy ETF; 1st Global offers an advisor app. New products and changes introduced over the last week include the planned launch of a gold-trust ETF by Merk, a multi-strategy ETF from Invesco PowerShares and a dividend growth fund from American Independence. Merk Investments of Palo Alto, Calif., says it is launching the Merk Gold Trust, a deliverable-gold ETF that will trade on the NYSE Arca ( OUNZ). The Merk Gold Trust holds gold bullion as allocated “London Bars” vaulted in London. OUNZ shareholders own a pro-rata share of the gold held by the Trust. Investors have the option to take delivery of their gold in exchange for their OUNZ shares. If and when desired, investors may request delivery of the London Bars held by the Trust, as well as exchange their shares for gold coins (or bars) that are more commonly desired by individual investors. As an ETF, OUNZ seeks to track the price of gold less the expenses of the trust’s operations. “We believe we have revolutionized commodity investing by bridging the world between institutional and individual investors. Gold investing will never be the same, as investors may now buy gold with the ease of an ETF, but also have the option to take delivery of their gold when they want, where they want, in the form they want,” explained Axel Merk, president and chief investment officer of Merk Investments, in a press release. Invesco PowerShares Capital Management LLC has announced the planned launch of the PowerShares Multi-Strategy Alternative Portfolio (LALT) on May 29. LALT is an actively managed ETF that seeks a positive total return with low correlation to the broader securities markets. Invesco Advisers, Inc., LALT’s subadvisor, selects investments for inclusion in the fund’s portfolio with reference to the components of the Morgan Stanley Multi-Strategy Alternative Index. American Independence has announced the launch of the American Independence Laffer Dividend Growth Fund (LDGAX). The fund is based on the dividend growth equity strategy of Laffer Investments, which will act as subadvisor. Stephen Shepich of Laffer will manage the fund. LDGAX’s primary objective is to generate a competitive total return by investing in a diversified portfolio of U.S.-listed equity securities that offer an attractive combination of yield and the opportunity for growing dividends. The portfolio is constructed using a combination of common stocks, American Depository Receipts (ADRs), master limited partnerships (MLPs), real estate investment trusts (REITs), and business development companies (BDCs). 1st Global announced that it has launched a mobile app for advisors that allows them to access necessary information remotely. The app, which is available on the Apple App Store, was built using RSA SecurID, a two-factor authentication security feature, and allows wealth management assistants and advisors who work with multiple CPA firms to securely view and sort client information by rep of record. The app has six main features. 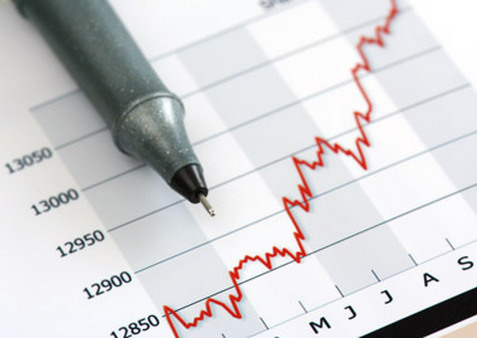 They are: remote access, which allows users to search by client name, ticker symbol or CUSIP number to view client account holdings and balances as of the previous day’s close; service requests, which can be created or monitored; calendar and events, which allows users to register for 1st Global events or view his or her personalized calendar generated by the Financial Advisor website; news and headlines, which allows users to read the latest edition of the company’s newsletter, as well as 1st Global’s latest headlines; client materials, which allows users to download or e-mail client-approved materials directly from the app; and push alerts, which provide important announcements. Read the May 10 Portfolio Products Roundup at ThinkAdvisor.